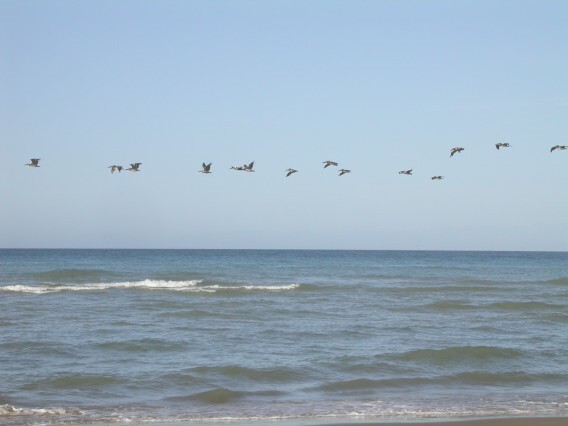 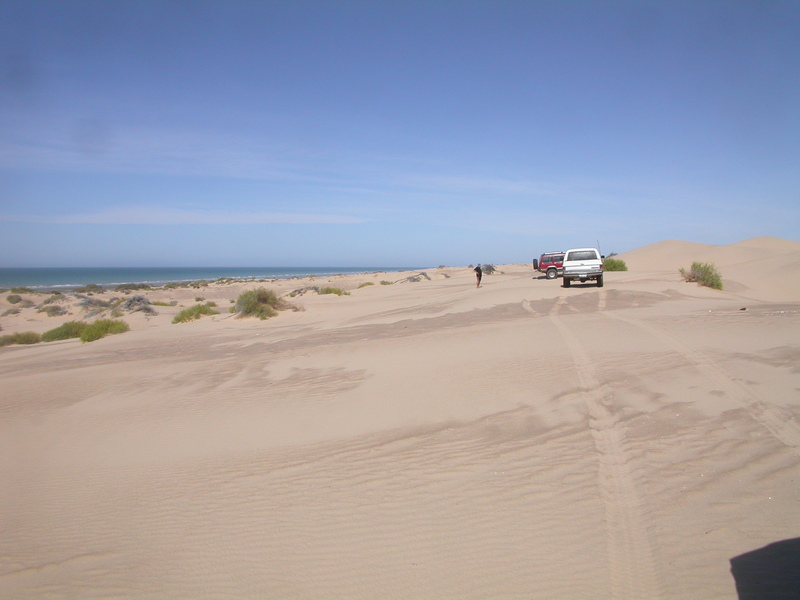 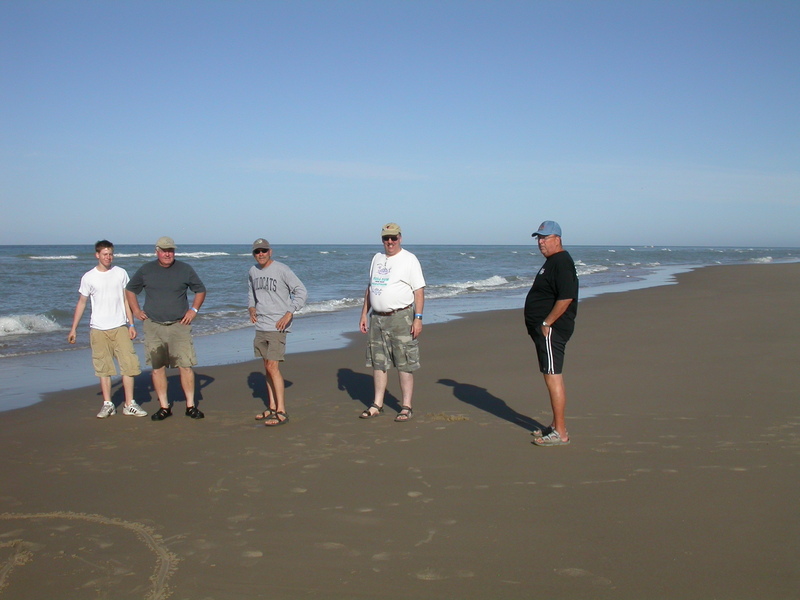 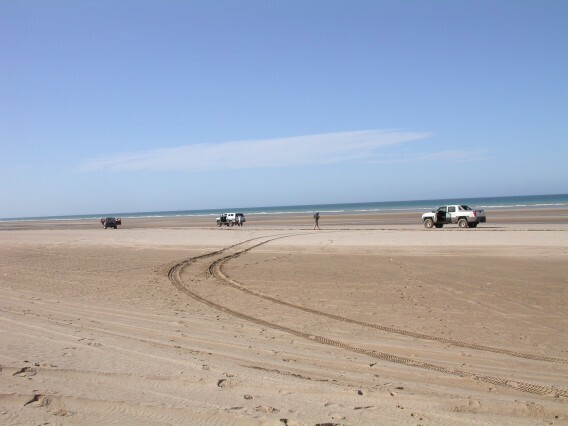 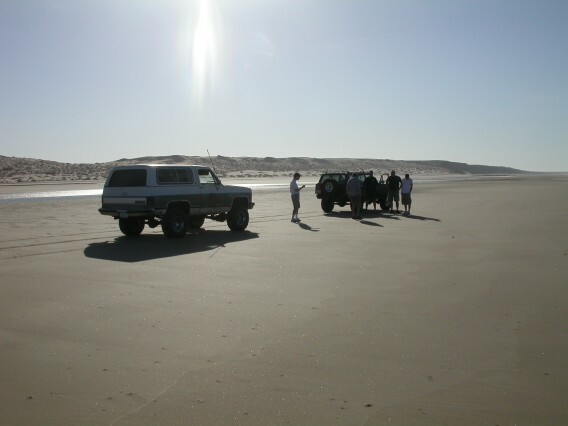 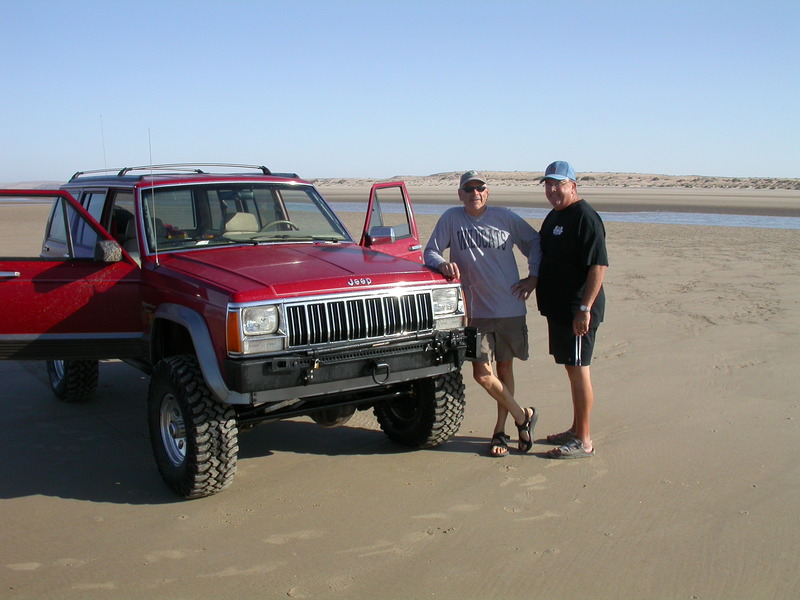 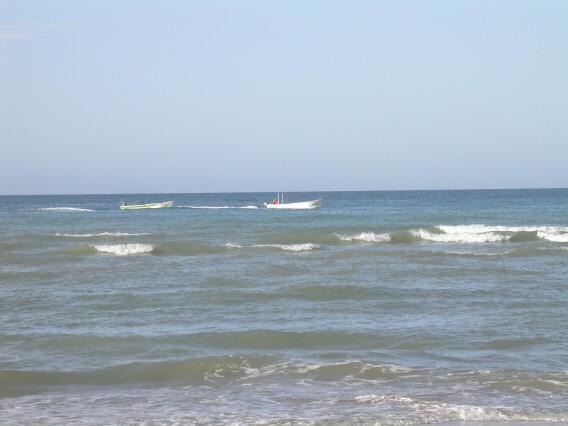 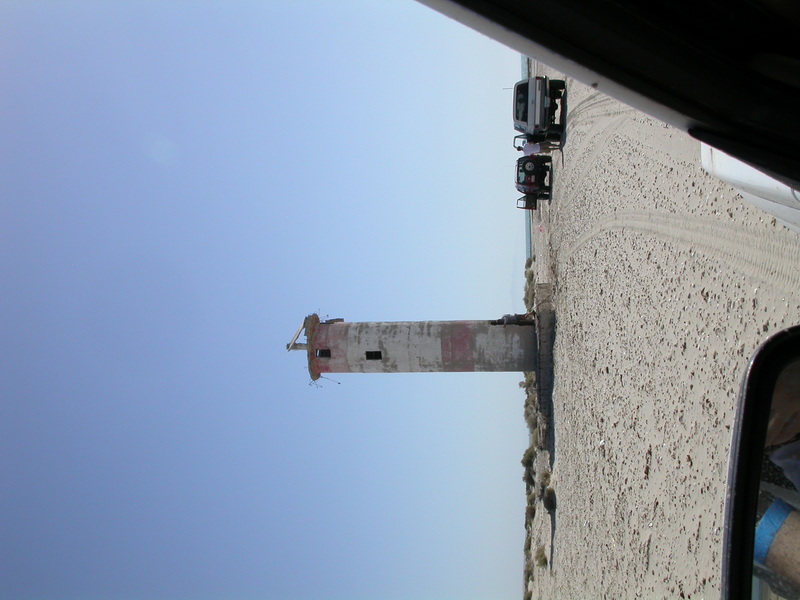 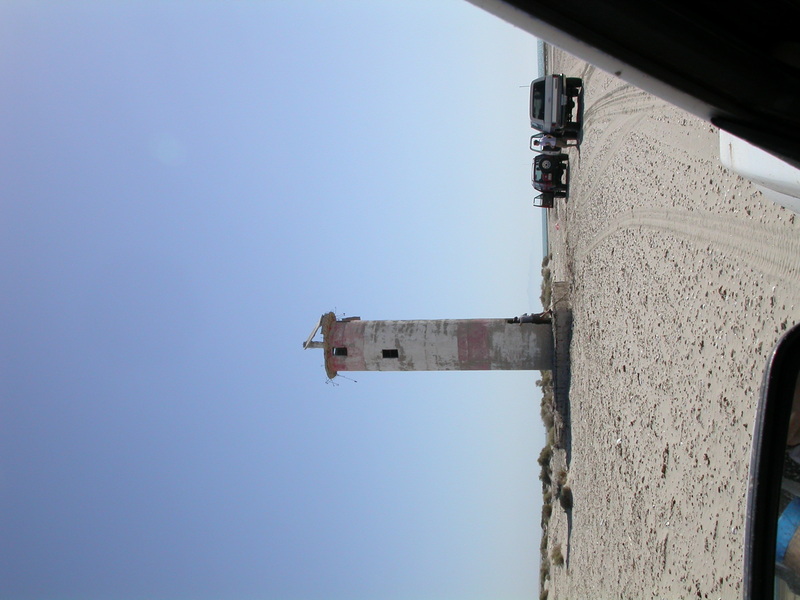 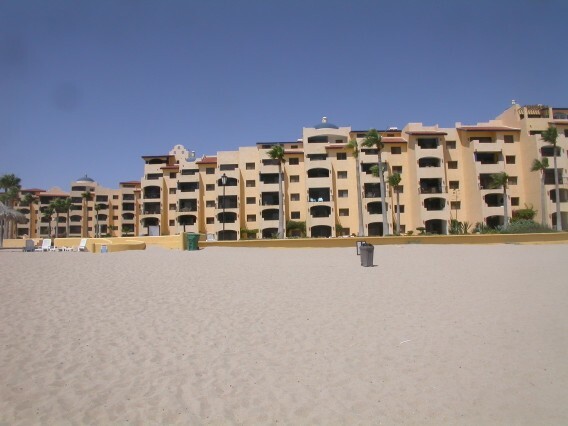 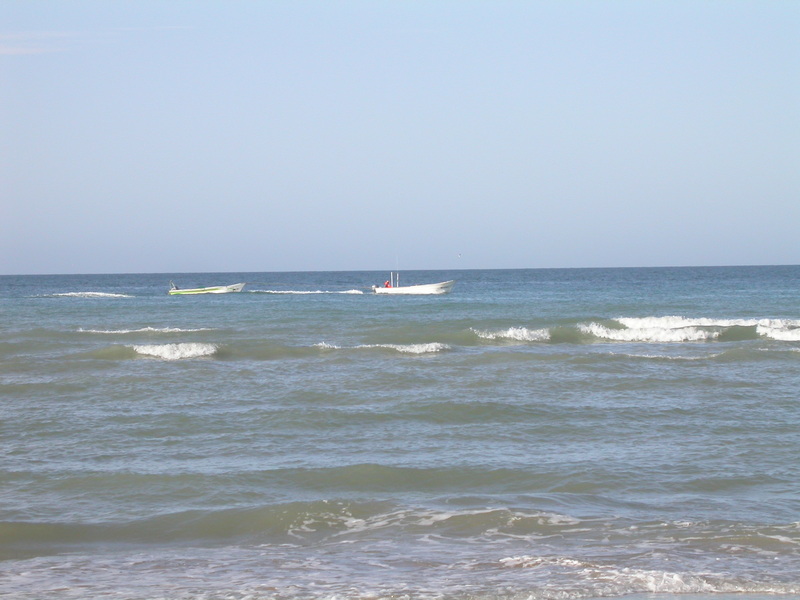 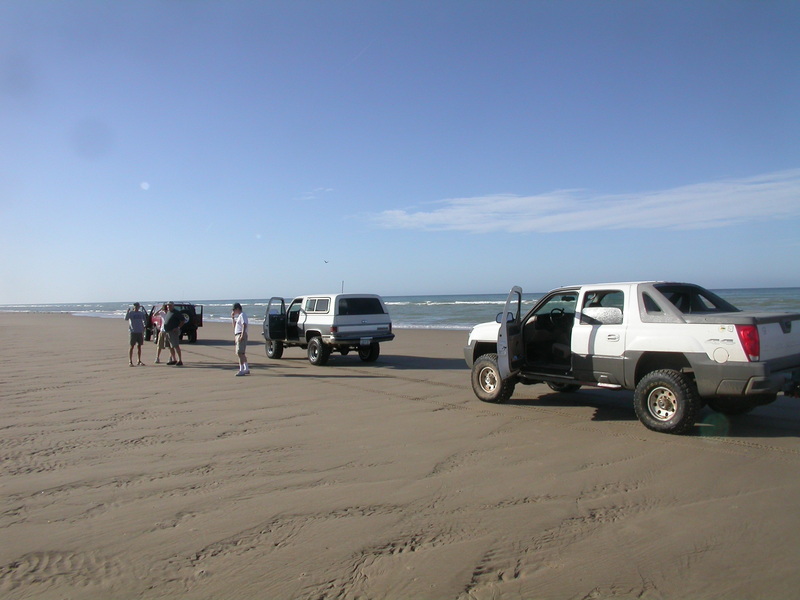 The official run was staying two nights in El Golfo, but we elected to go back to Rocky Point on Wednesday. 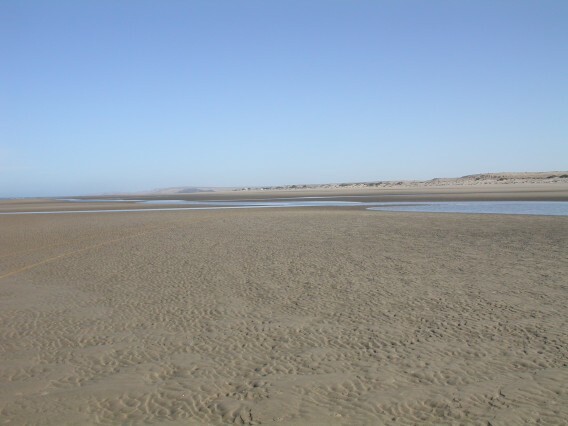 Since we definitely did not get enough beach running on Tuesday, we got up early to catch low tide (8AM) on Wednesday morning. 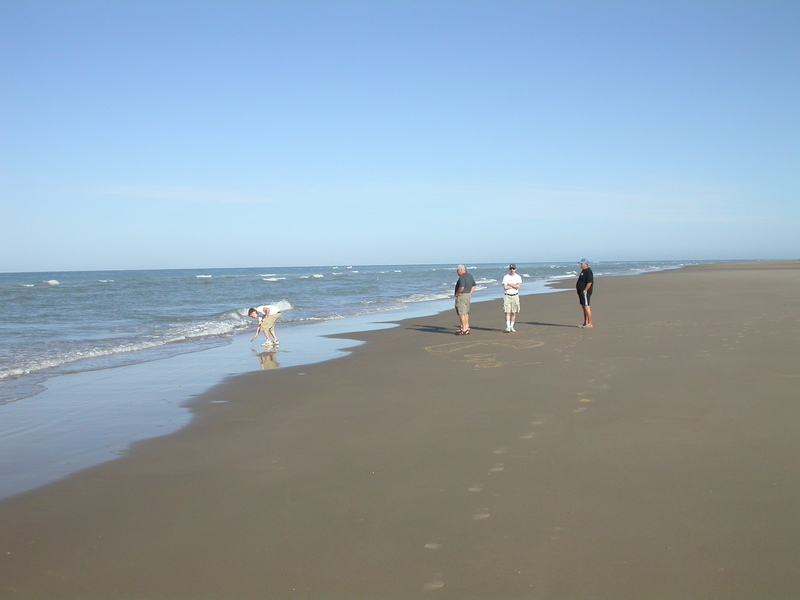 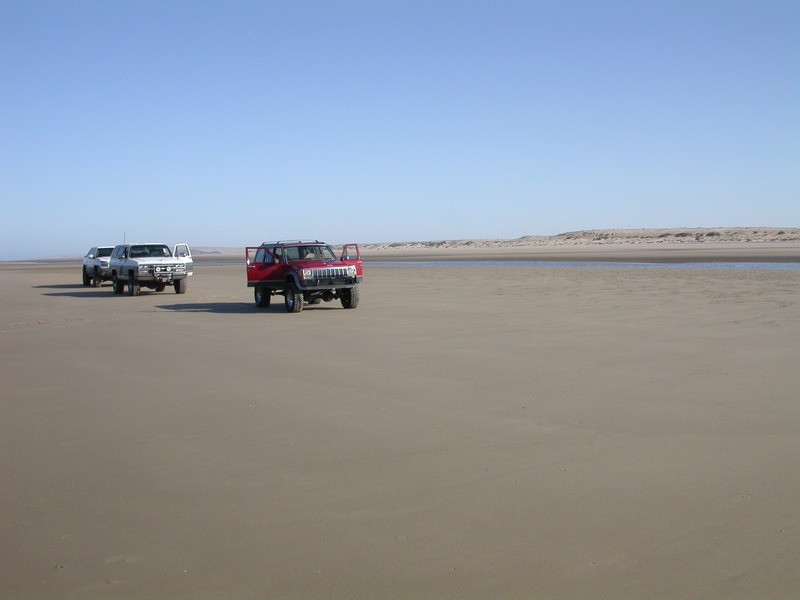 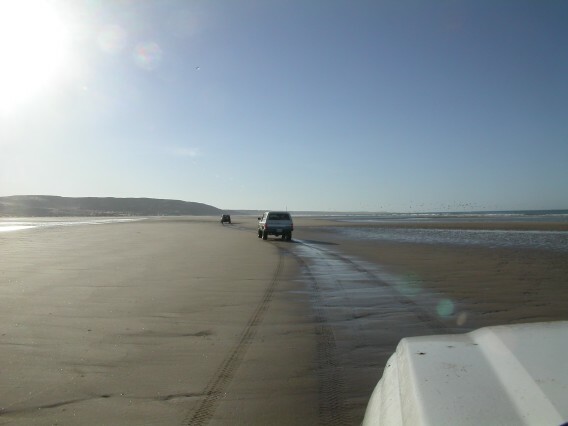 We left El Golfo at 7AM, and low tide gave us clear beach running for about 20 miles SE from El Golfo. This was fantastic! 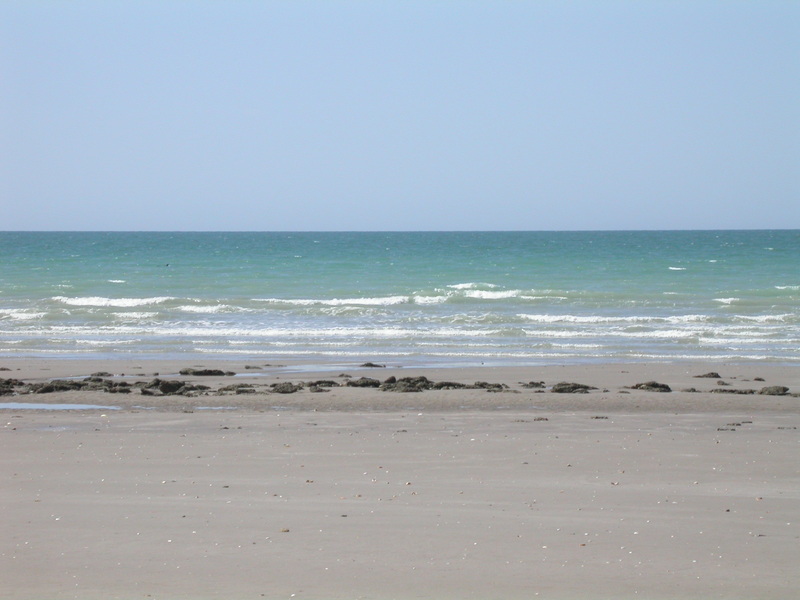 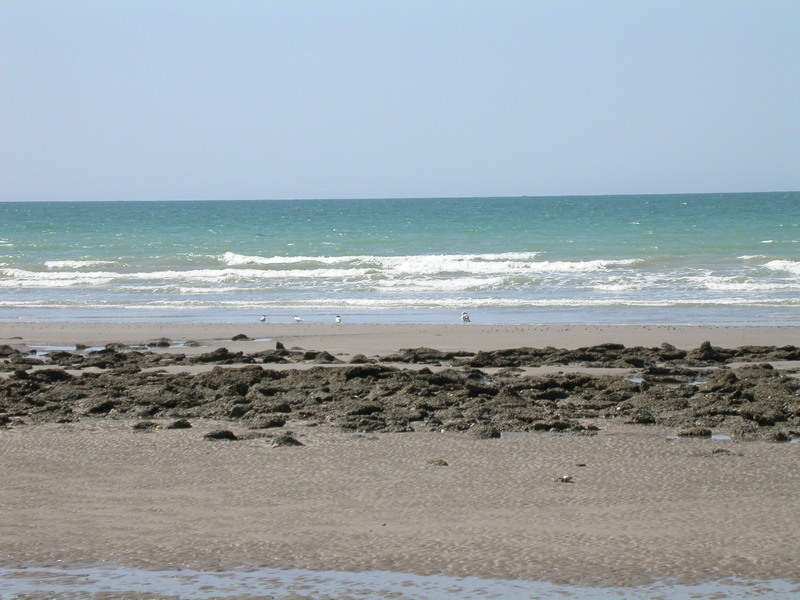 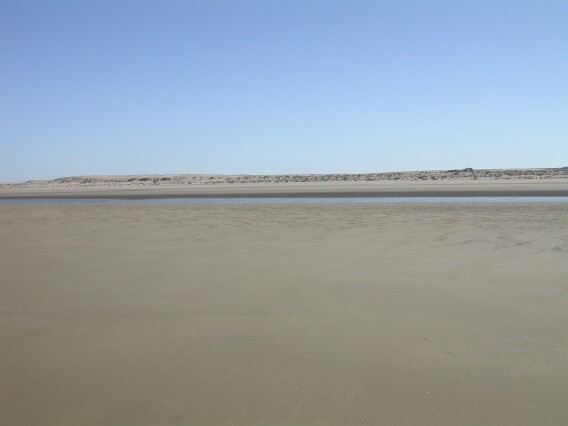 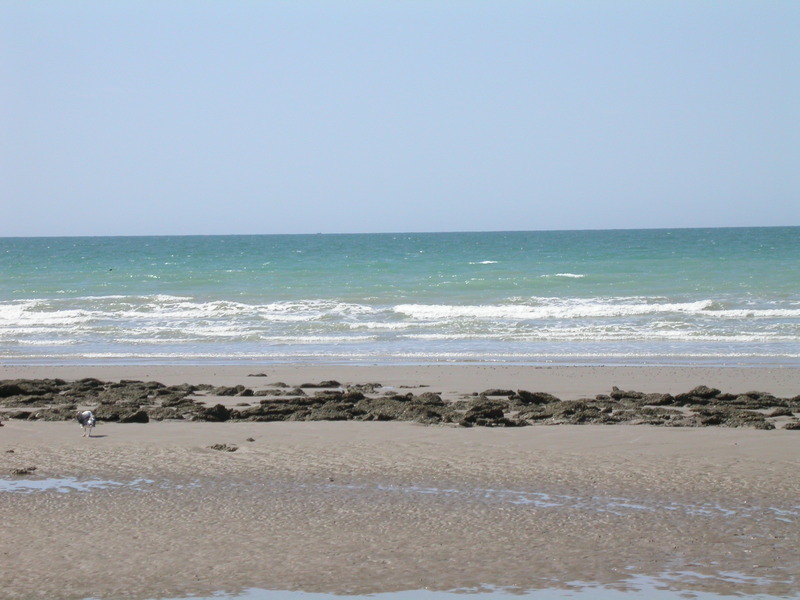 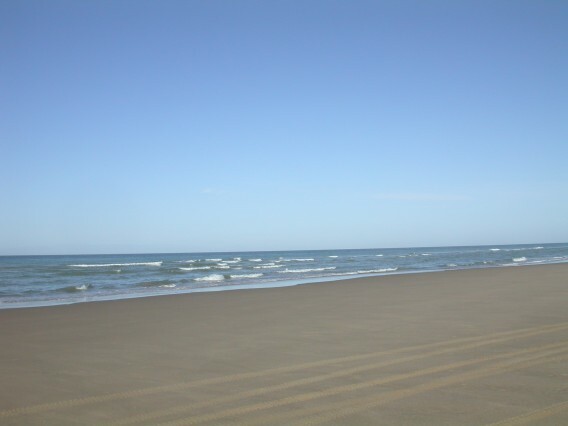 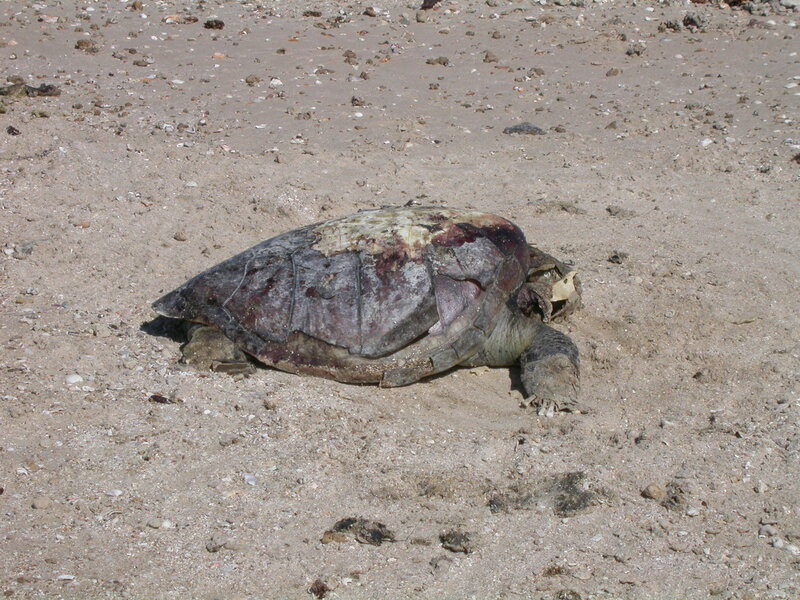 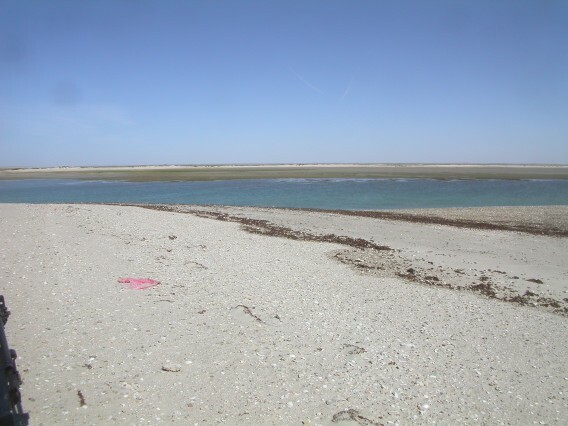 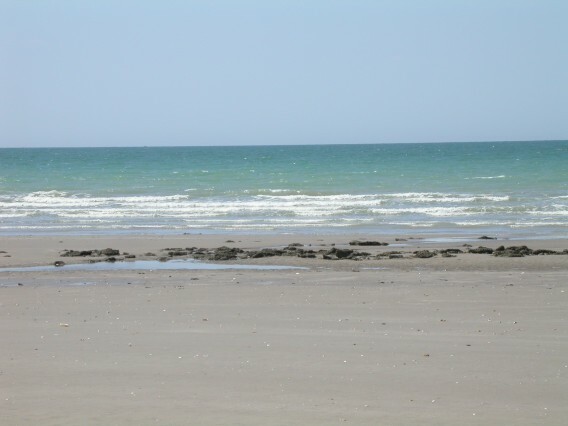 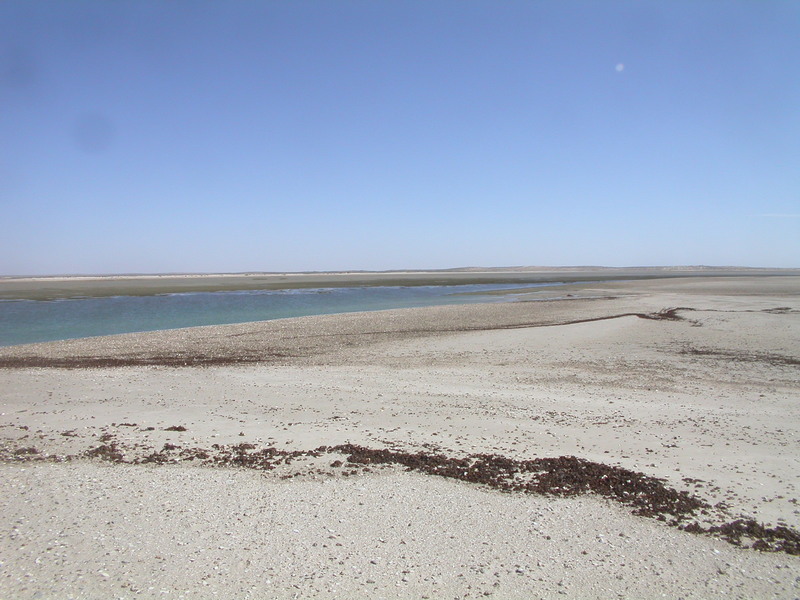 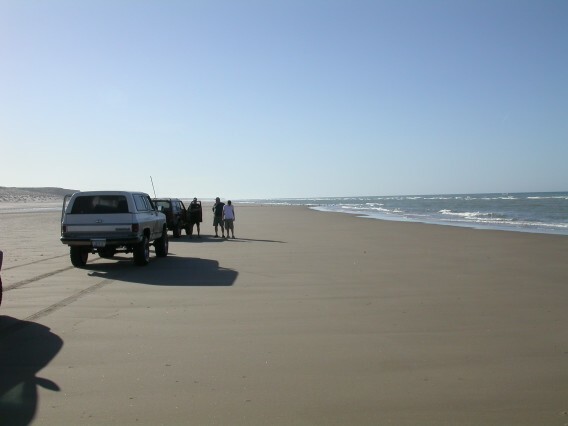 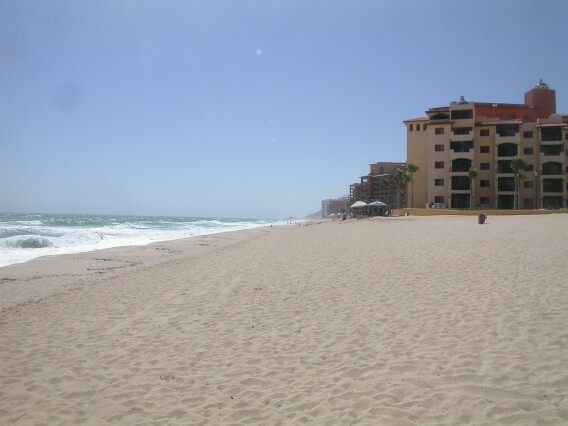 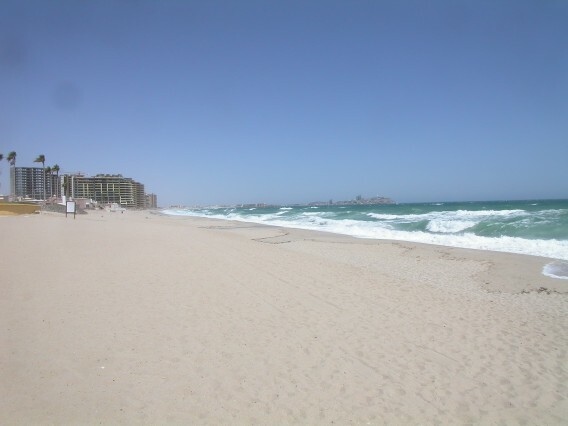 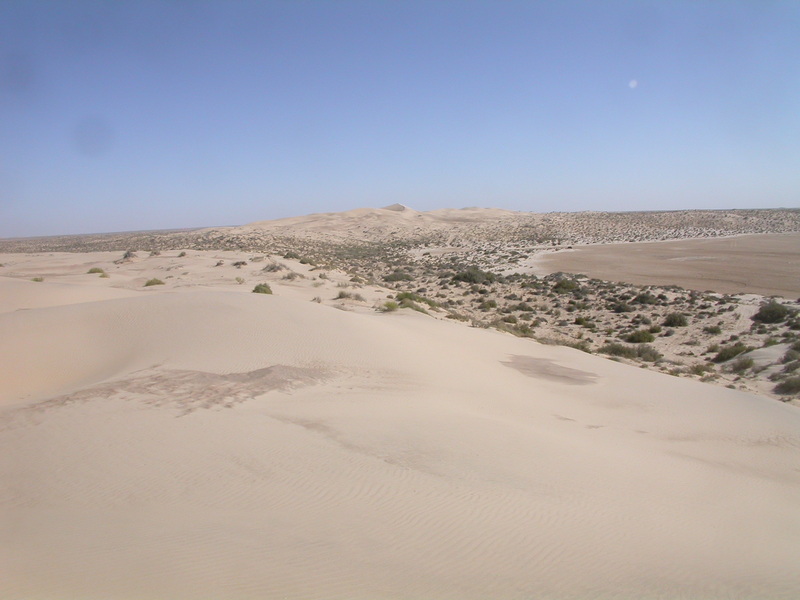 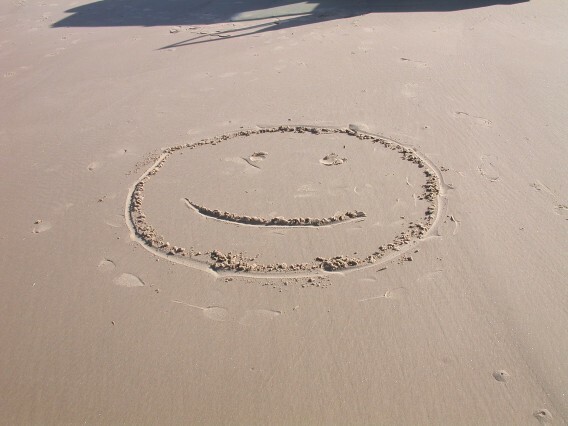 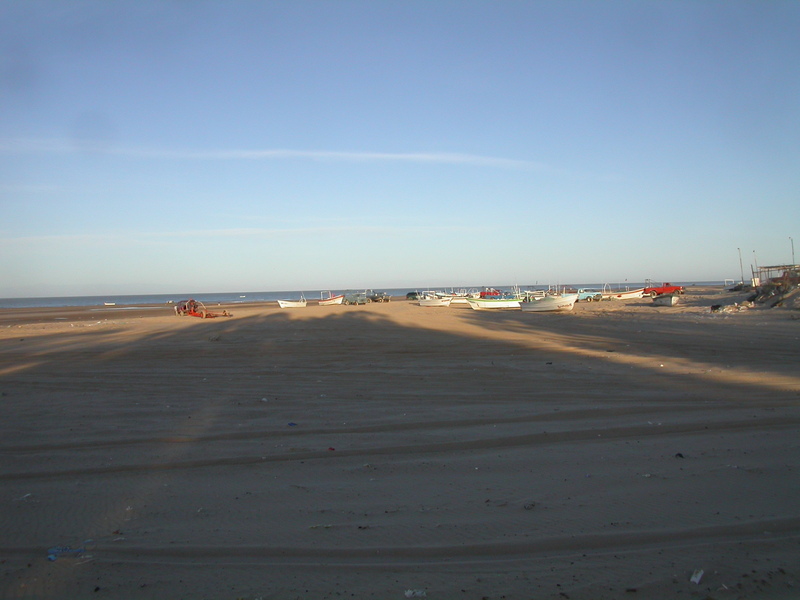 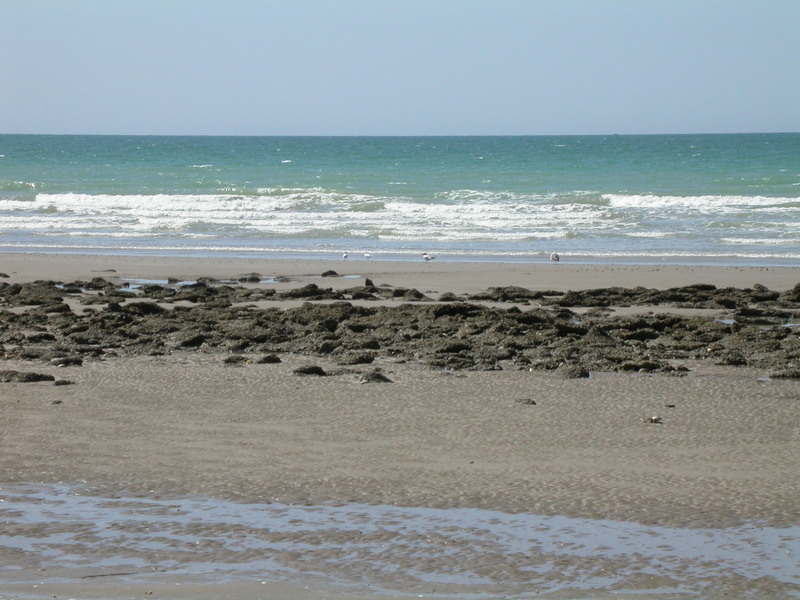 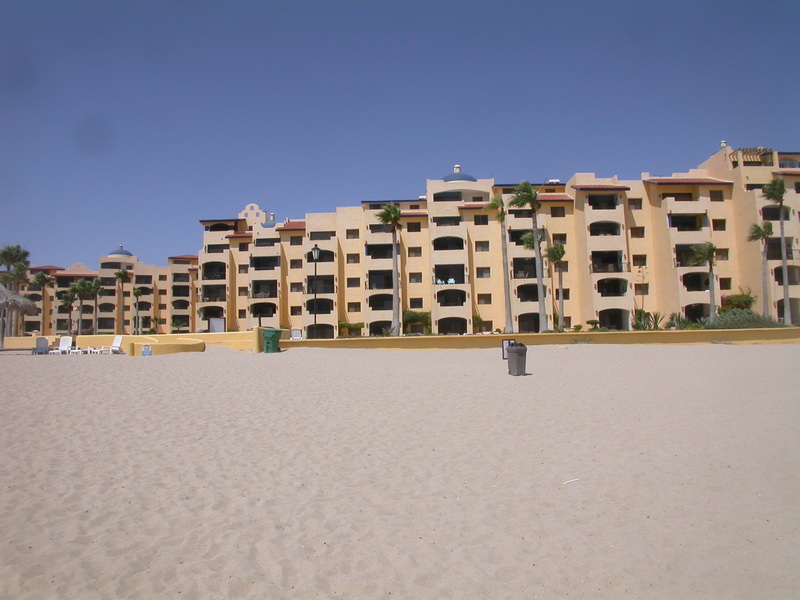 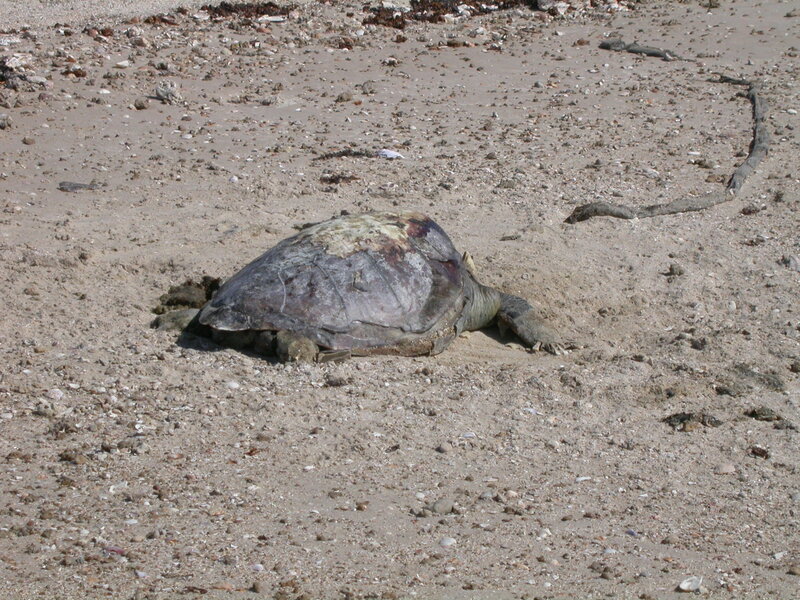 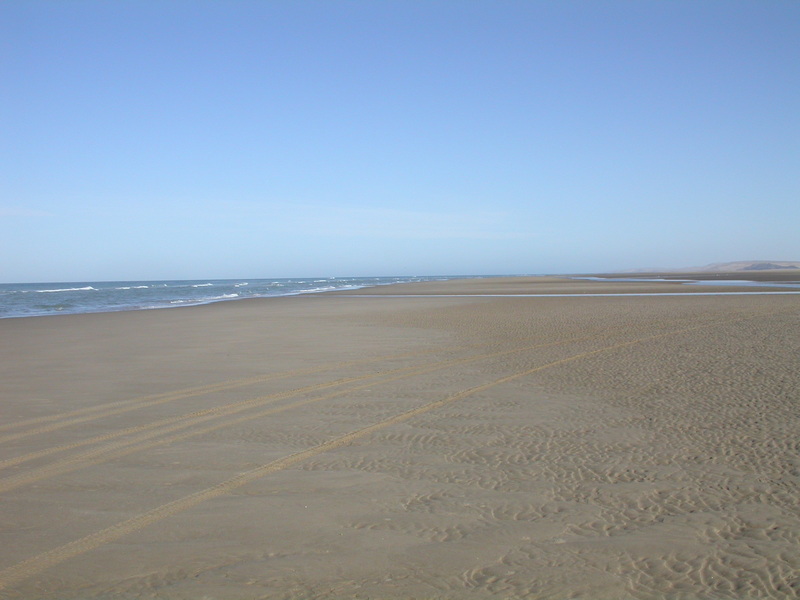 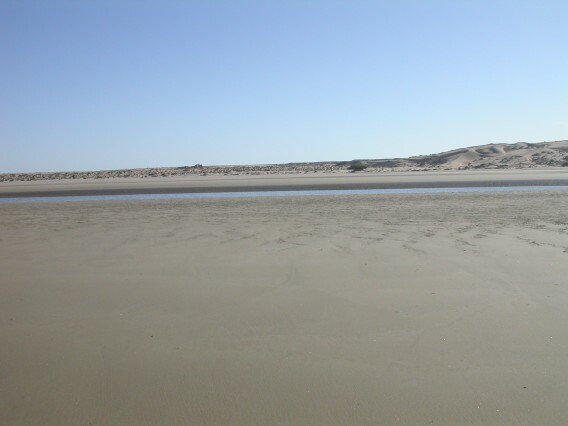 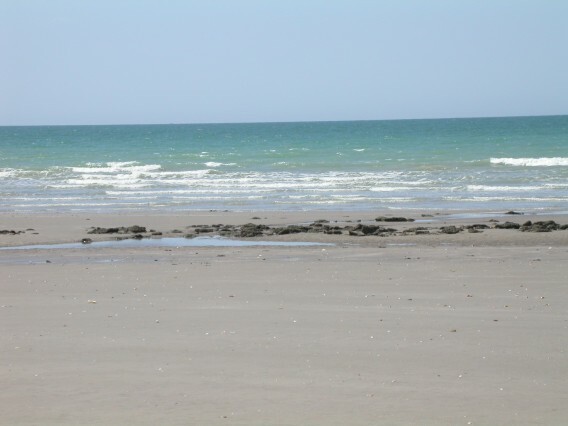 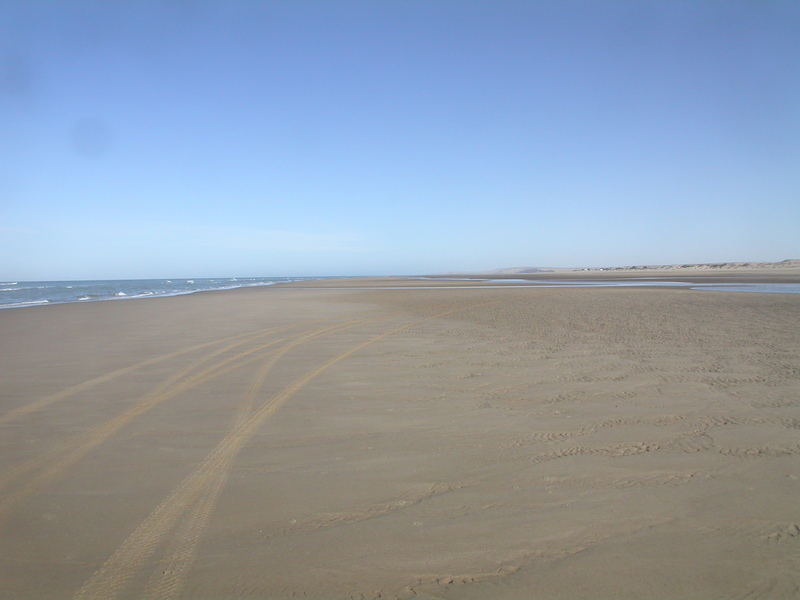 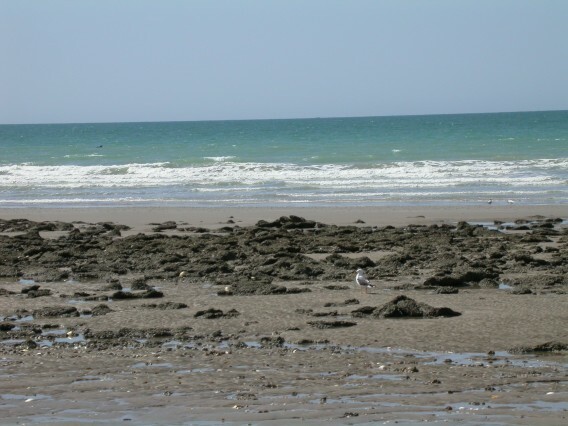 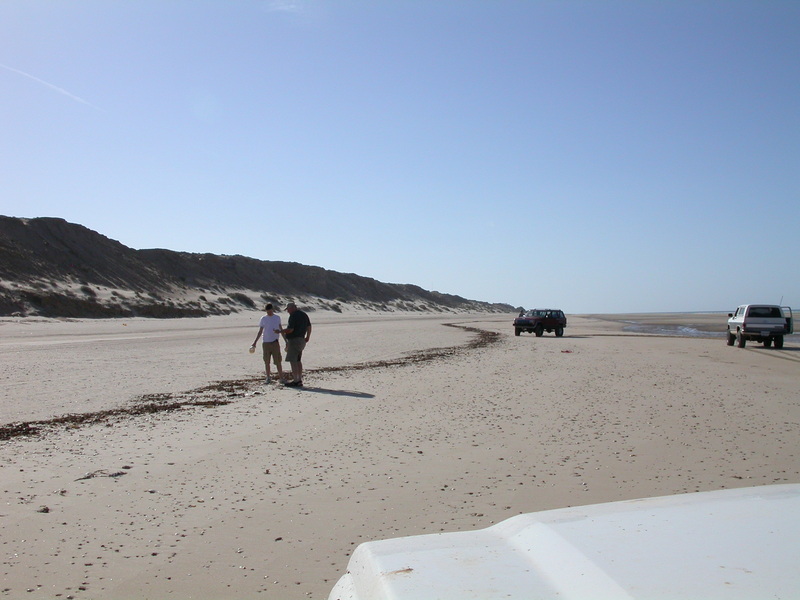 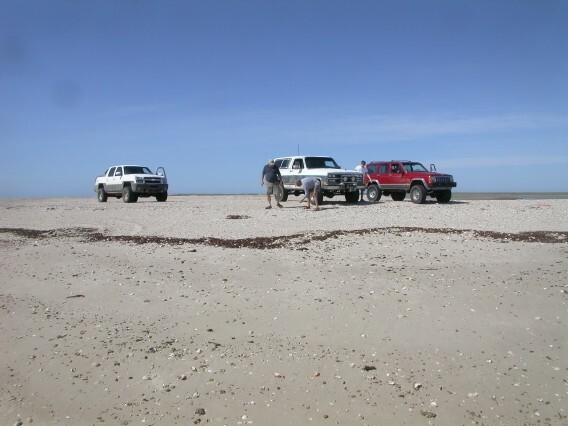 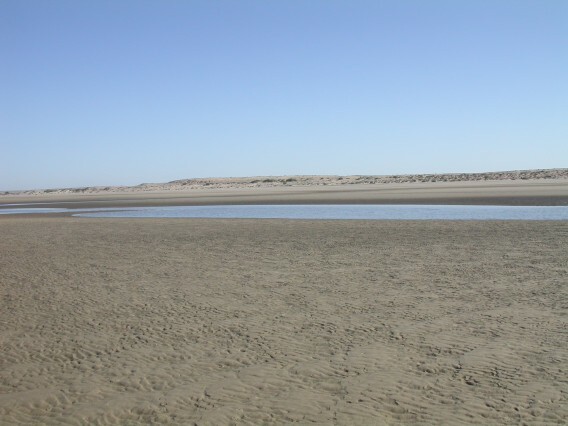 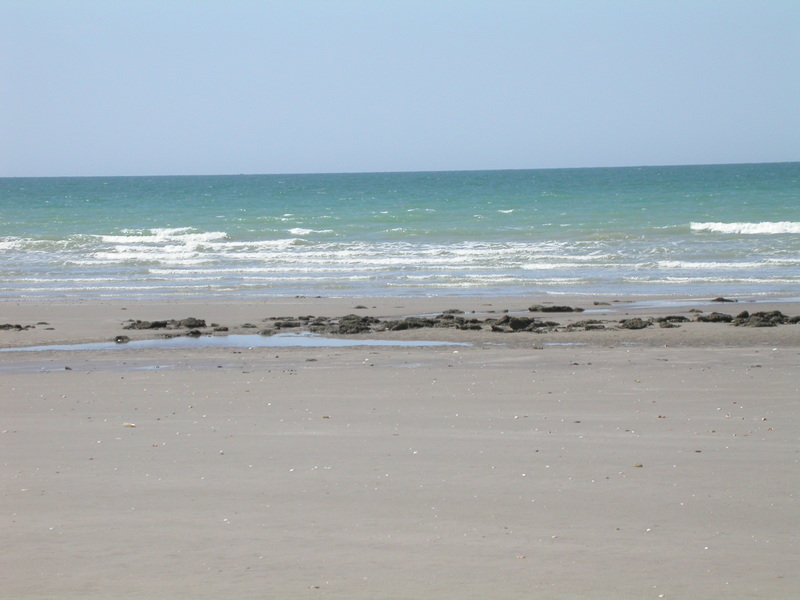 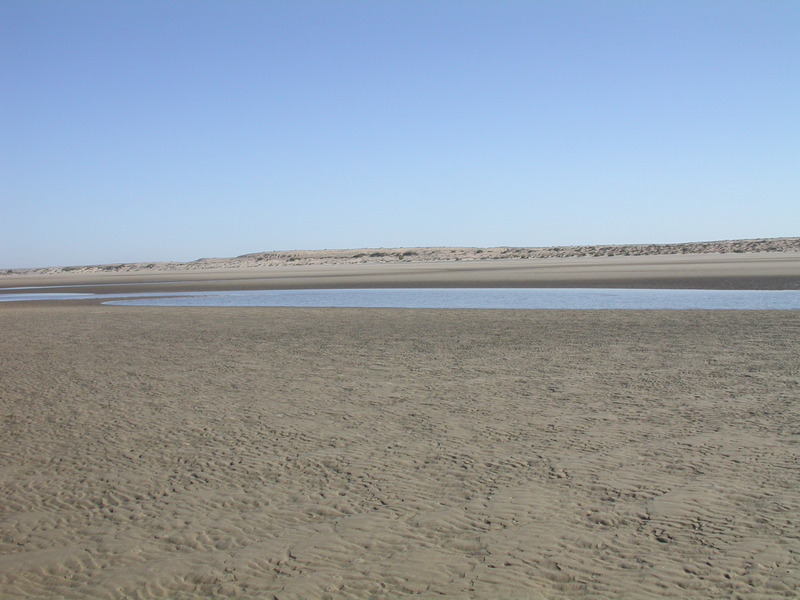 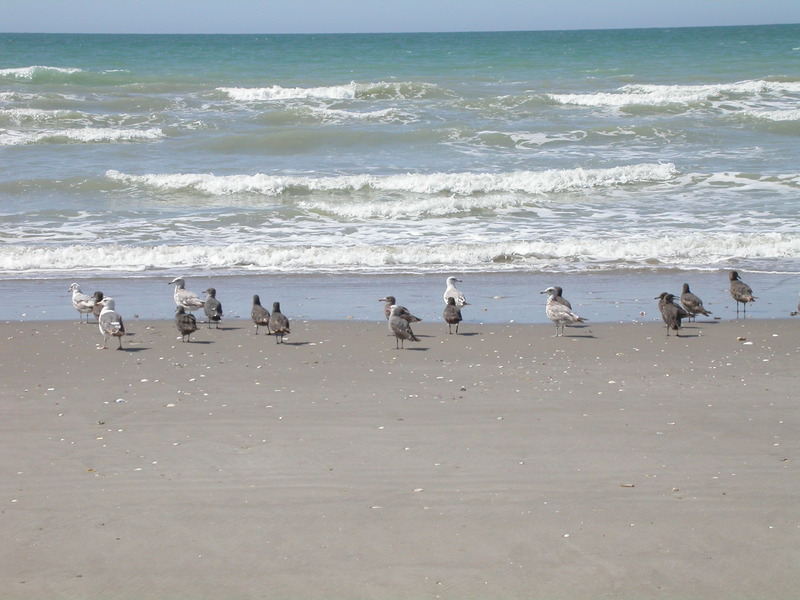 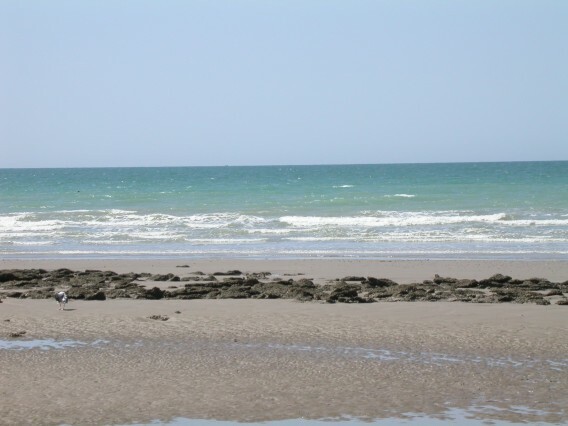 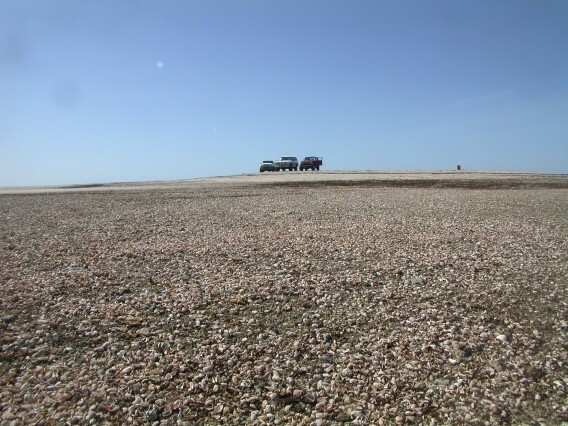 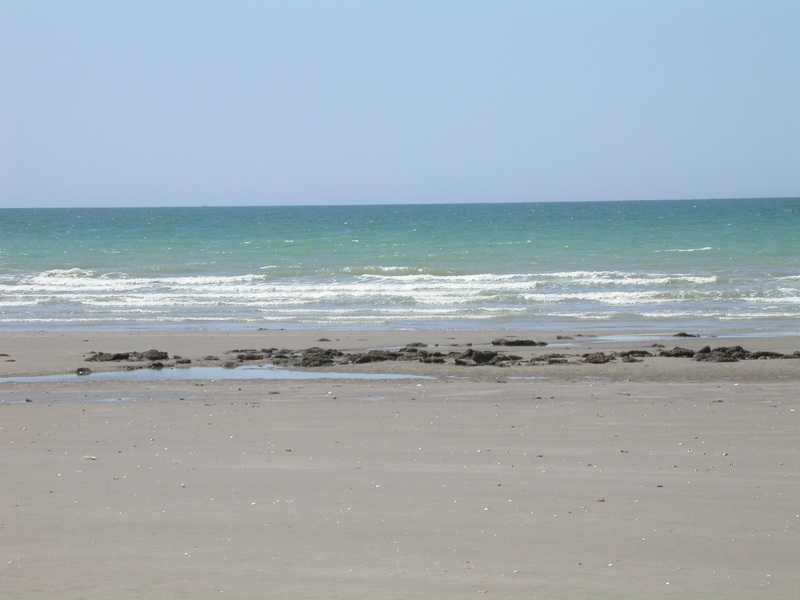 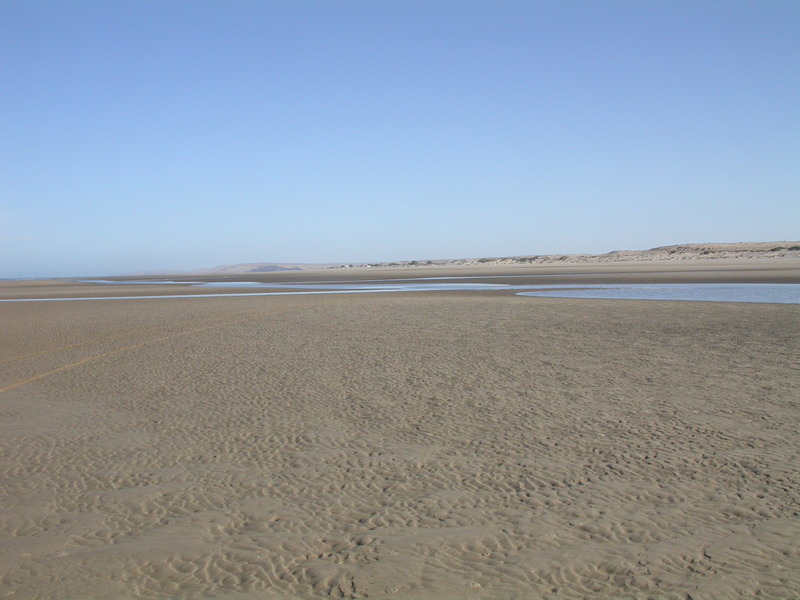 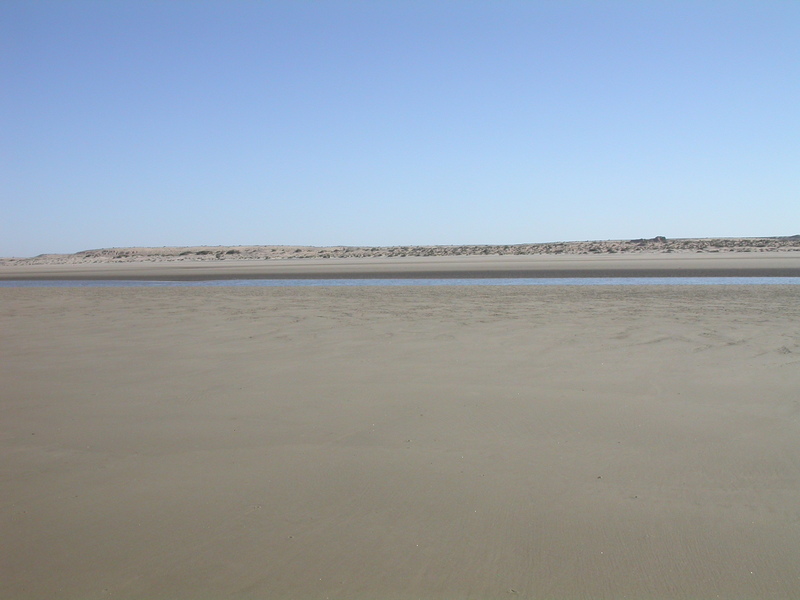 The beach at low tide is typically 200 - 300 meters wide with smooth hard-packed sand. 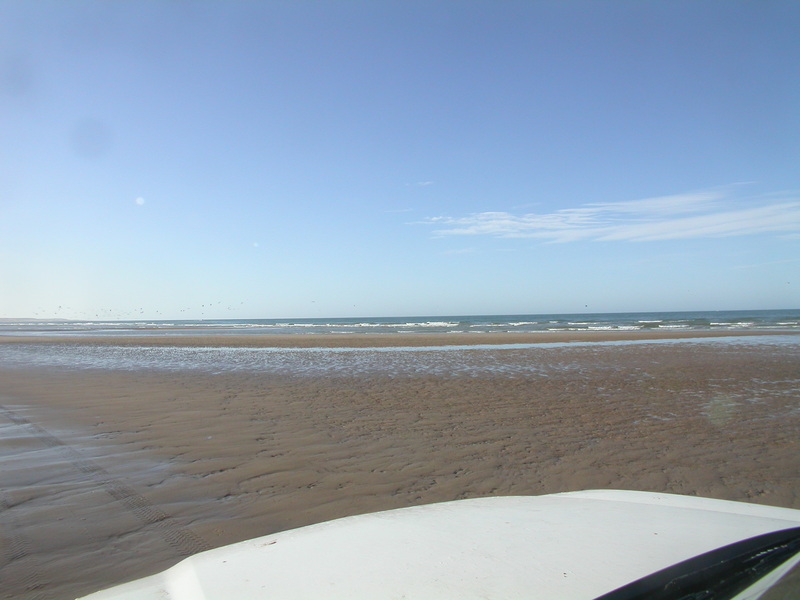 There are just enough soft spots and wet spots to keep the drive interesting. 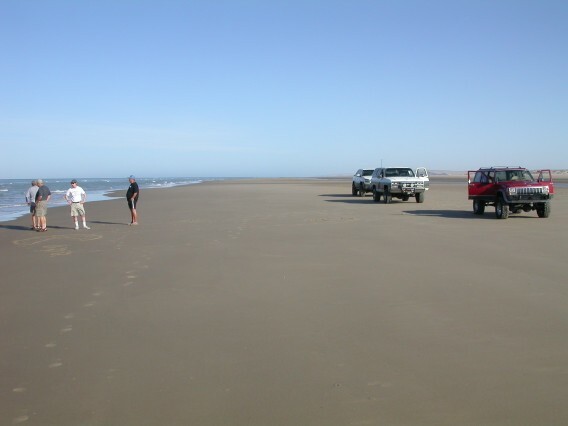 We saw a few folks camping, but for the most part we had the whole beach to ourselves. 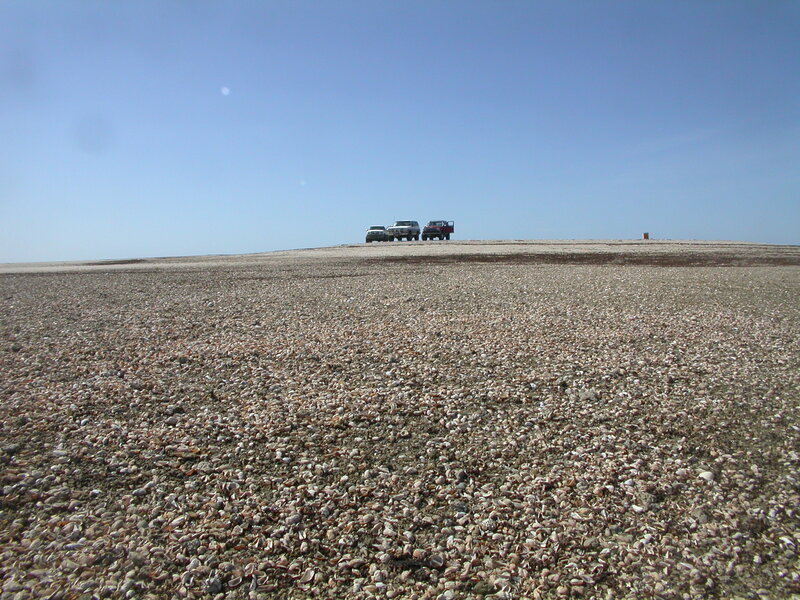 We saw all manner of wildlife, and lots of dead stuff. 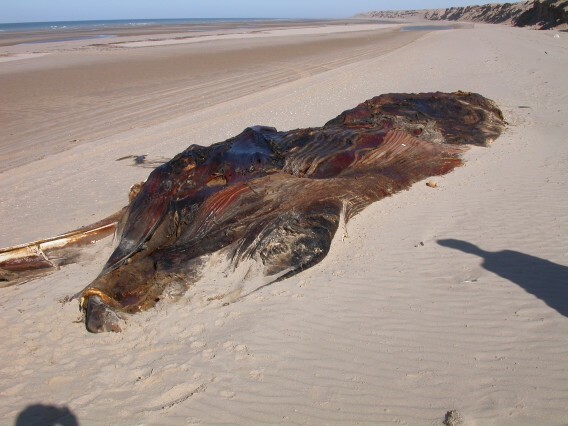 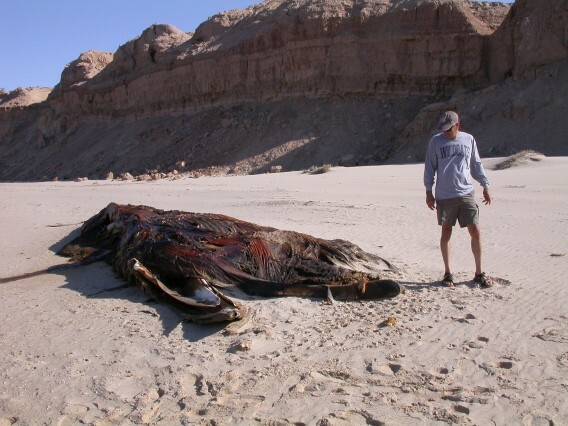 The biggest of the dead stuff was a 15 meter long dead whale. The whale was interesting to look at if you stayed on the upwind side. 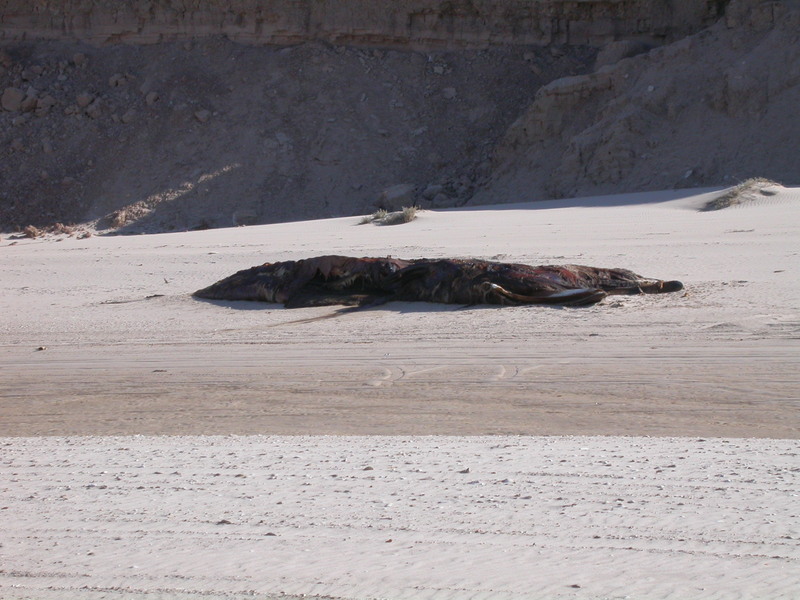 Since there are at least 5 types of whales in the Gulf of California, I'm not prepared to say what kind of whale it was - it was certainly dead. 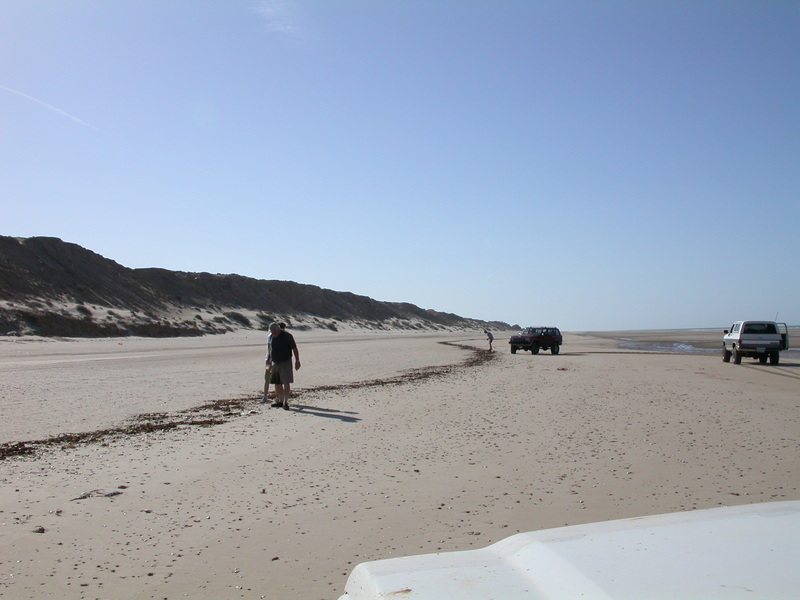 We followed the beach the whole way down to the estuary, and then back-tracked back up to where the road leaves the beach. 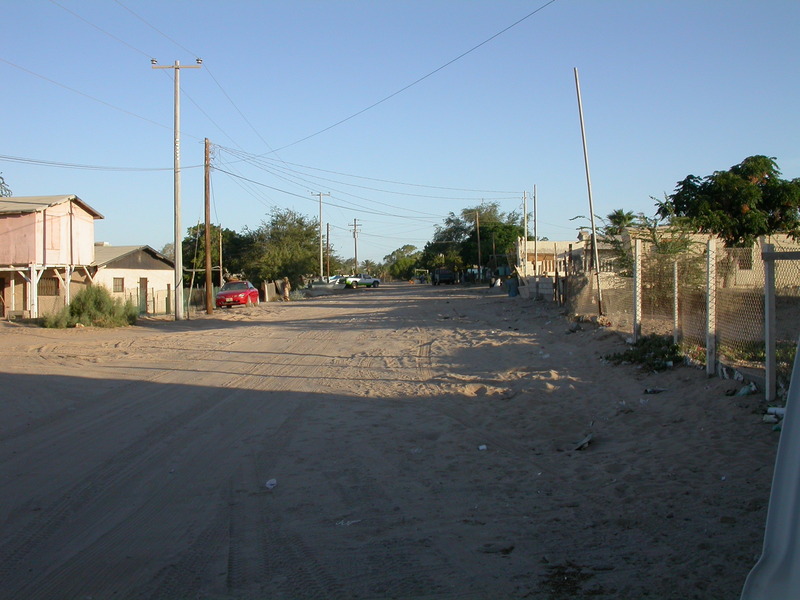 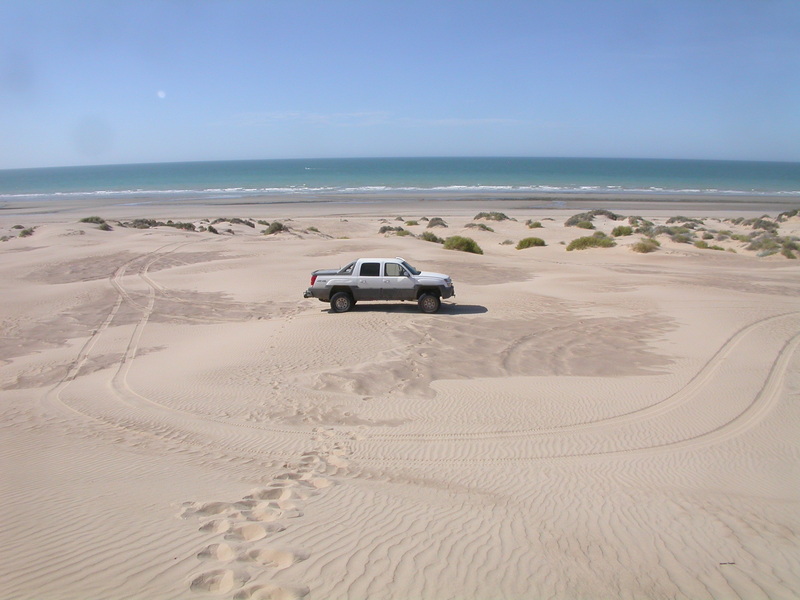 After we crossed the salt flats again, we hopped on the paved highway back to Rocky Point. 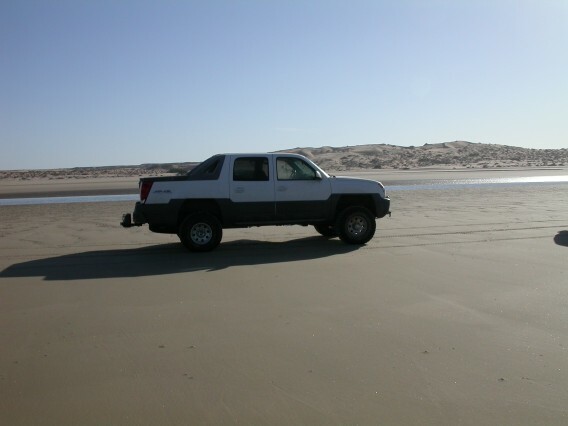 We got back in early afternoon in time to hit one of Bob M.'s favorite taco shops for lunch. 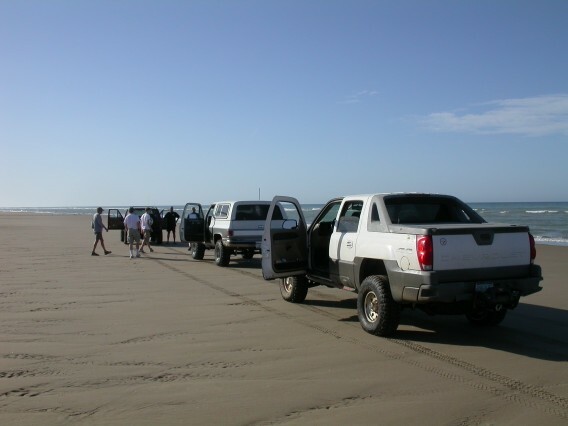 After that we hit the carwash to clean the heavy salt off the trucks. 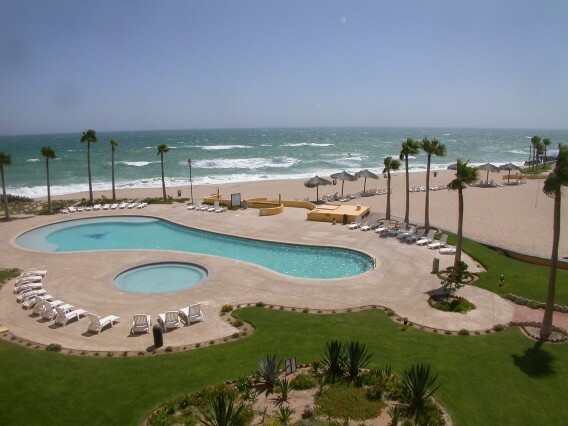 Then we were forced to spend the rest of the afternoon at the resort on the beach or in the pool. 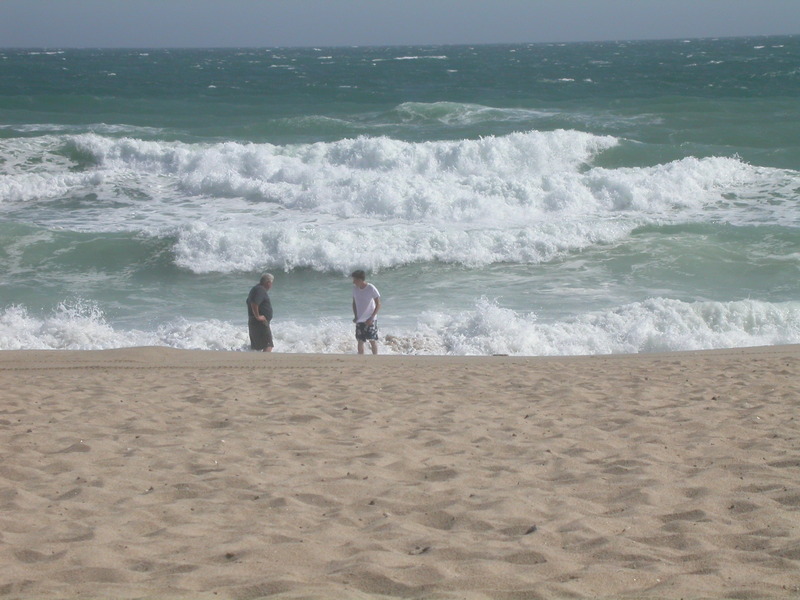 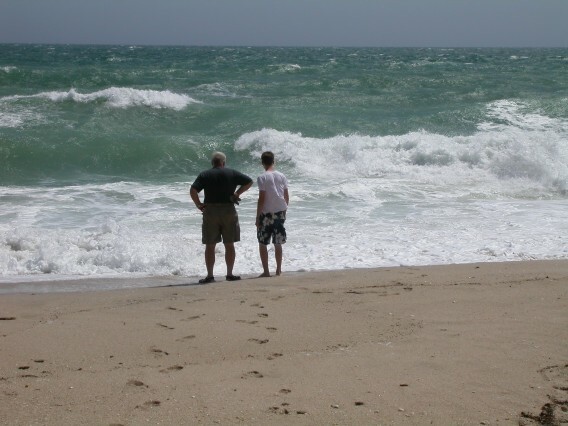 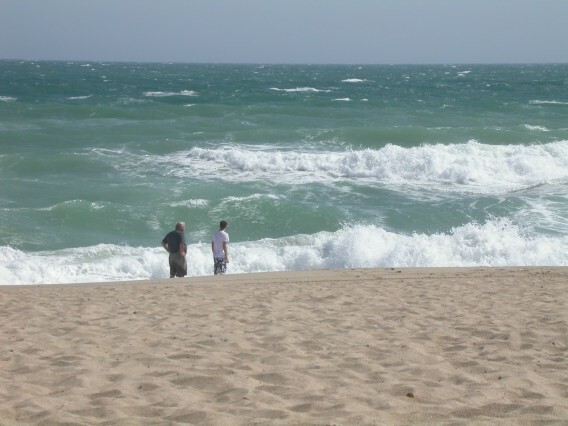 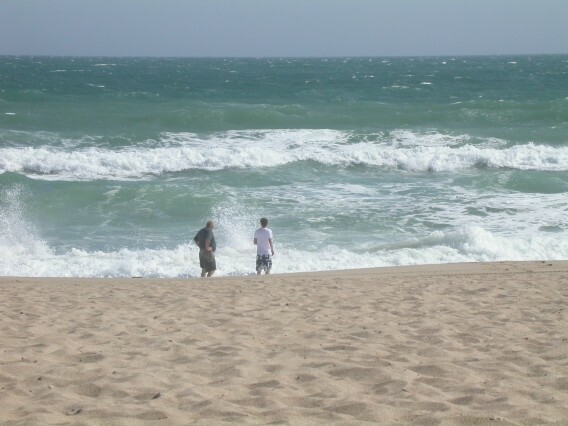 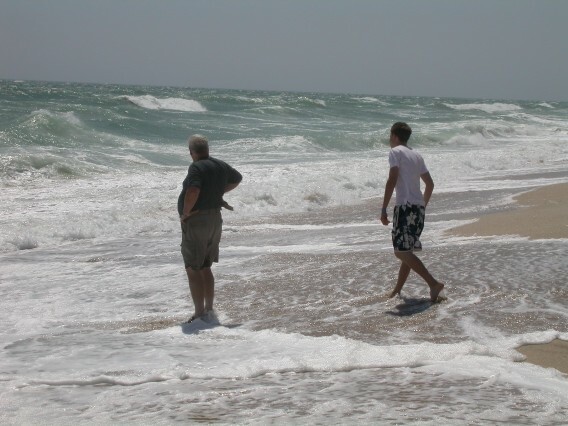 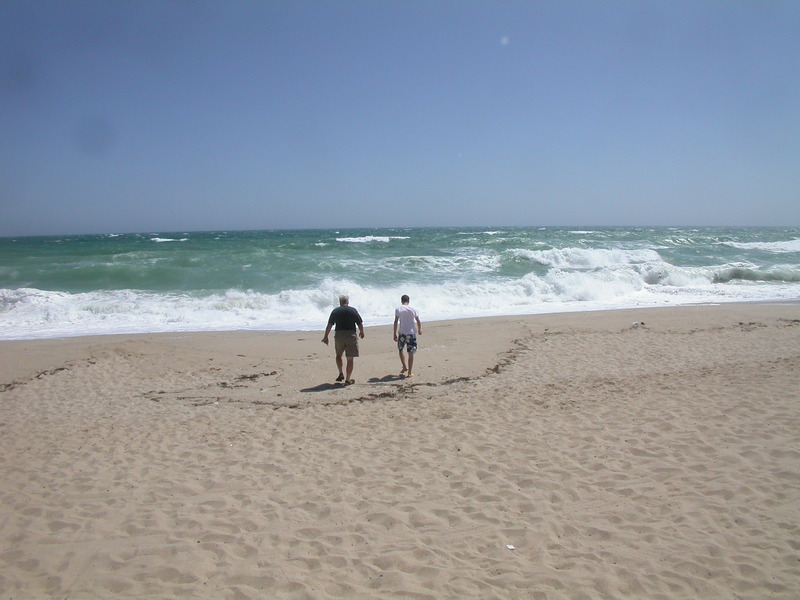 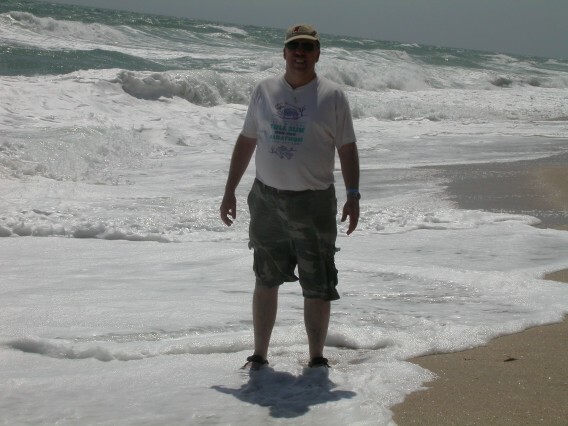 The wind had stiffened so there was fairly heavy surf. More Mexican seafood at El Rincon de Sophia that evening. 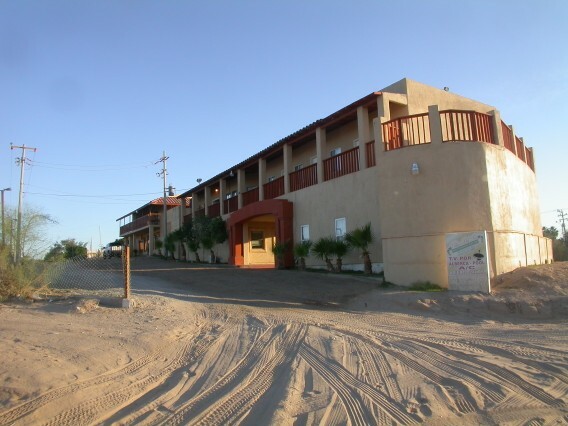 Motel Villas del Sol where we stayed in El Golfo. The sand is packed hard by the surf. 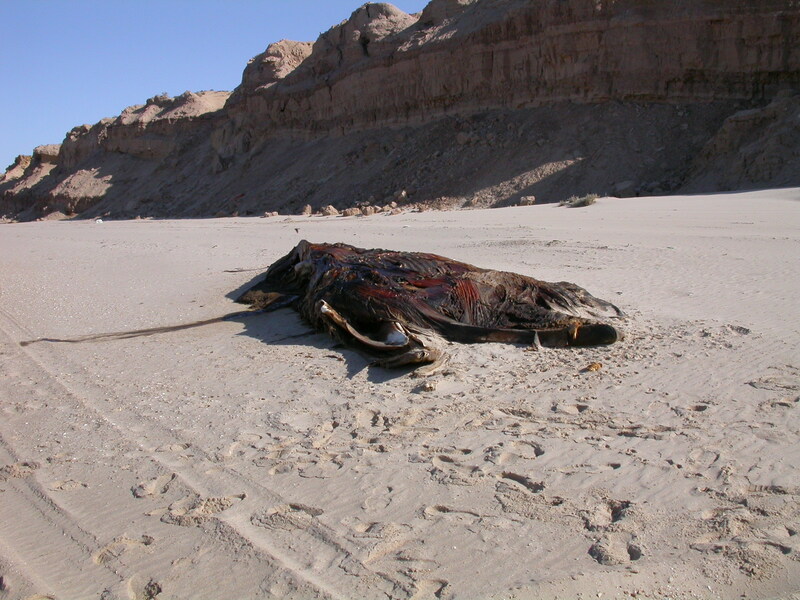 Mike is at the front end of the dead whale, and he is upwind. 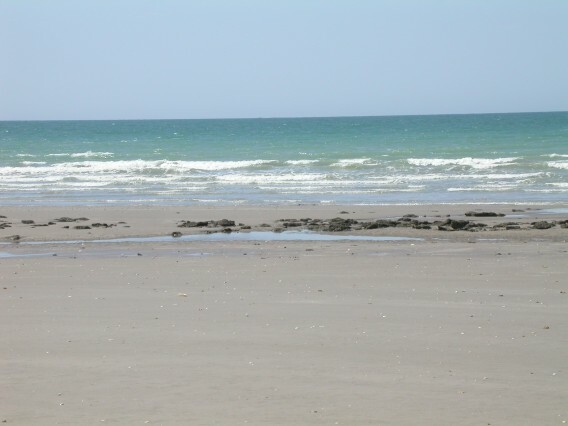 Finally here is a visble dolphin (just beyond the surf on the left if you zoom in). 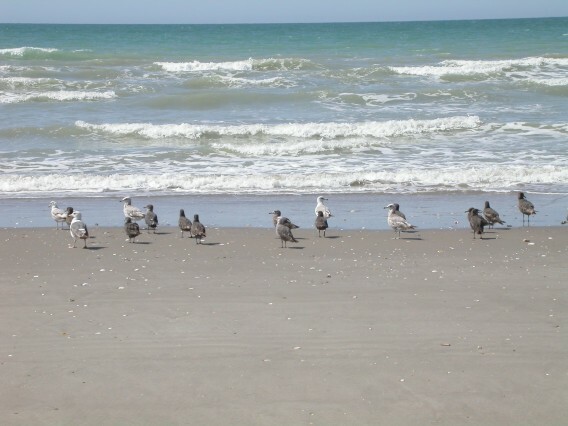 A south wind has a good surf going on Sandy Beach.